The owner of the Subway in Crystal Plaza will open his new Doc's Grille there in a few weeks, featuring high quality hamburgers and hot dogs and related fare -- there will be no alcohol. This new family-friendly restaurant will contribute to the growing prosperity of Crystal Plaza and South Laurel. 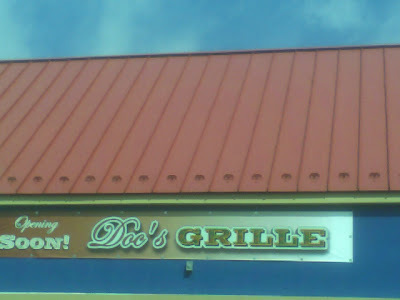 With Osaka Japanese Hibachi, Cameron's Seafood carry-out and the Island Flavors Caribbean restaurant and the Yums and now Doc's Grille, it looks like Crystal Plaza is becoming a desirable destination for people looking for a variety of interesting yet inexpensive dining choices.